A wide range of annuals are available throughout the seasons. Our hanging baskets are ready by Mother’s Day. Each season we grow over 15,000 geraniums in our own greenhouses. Our geraniums bring folks from all over to get them in the spring. We also grow spectacular flowering hanging baskets from 14" rounds to huge Victorian moss baskets. 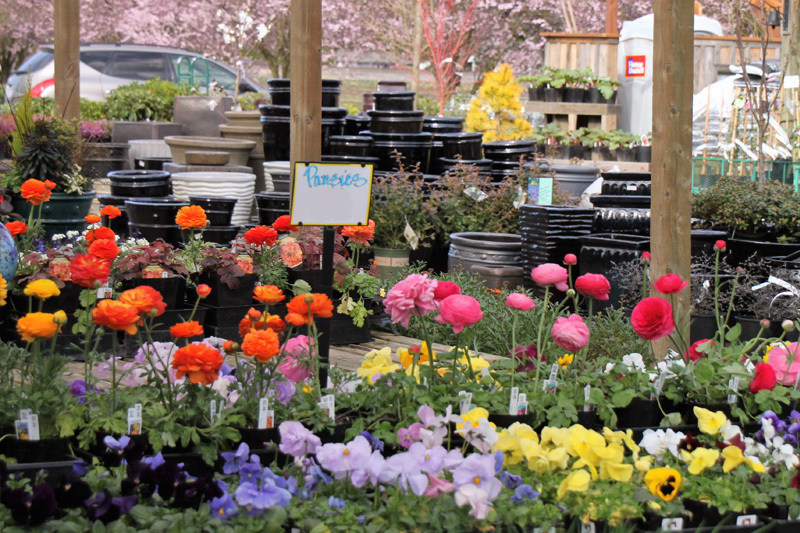 The show greenhouse will have everything you need to plant your window boxes, patio pots and baskets. You can enjoy these brightly colored annuals all summer long.